Mmmmm, sinfully delicious. I vividly remember the first time I had a red velvet cupcake; Boyfriend brought me a surprise from StarBucks, one bite and I was in heaven. I thought, “I can make this”. They pair well with vanilla buttercream, chocolate buttercream, or creamcheese frosting. If that special someone is allergic to food colouring, you can substitute with fresh fruit juice, as long as the juice doesn’t contain whatever sets of their allergies. 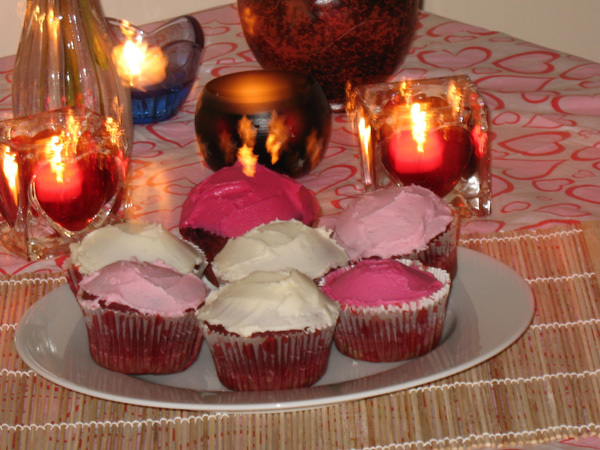 Red velvet cupcakes add a special touch to any romantic occasions, particularly Valentine’s Day. Usually I make mini cupcakes on the theory that eating 2 minis is like eating 1 regular but decided to go for the medium size this time. I prefer buttercream frosting and that’s what I made last night. 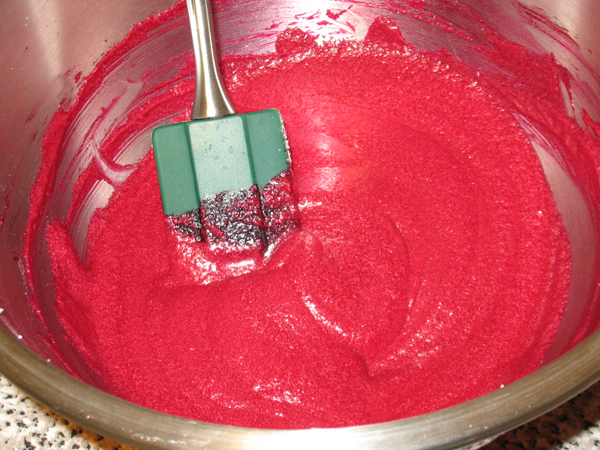 Use a hard plastic spatula because wooden spoons absorb dye. Red batter splatters, wear old clothes. 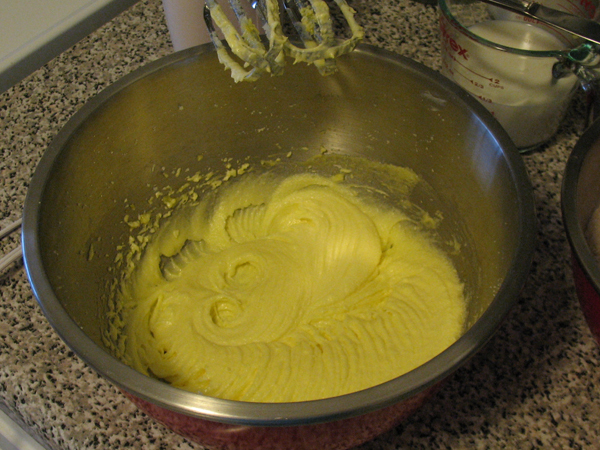 Take out the butter required for the batter and the frosting at the beginning. 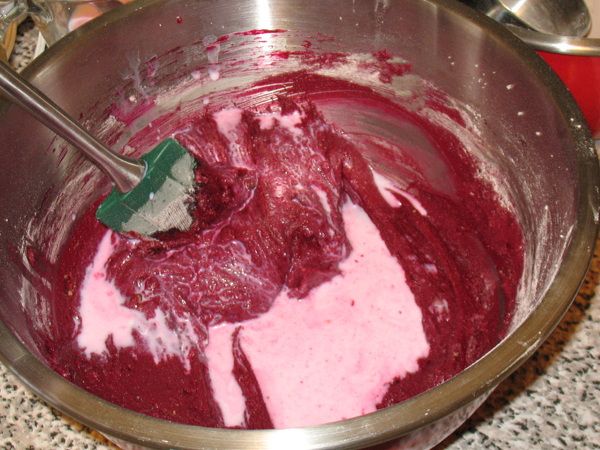 While the cupcakes are cooling, you have enough time to make the frosting and the butter is already softened. You can either make the batter with buttermilk, or fake it by adding either white vinegar or lemon juice to regular milk. Unless you cook with real buttermilk often, why bother buying it for one recipe? 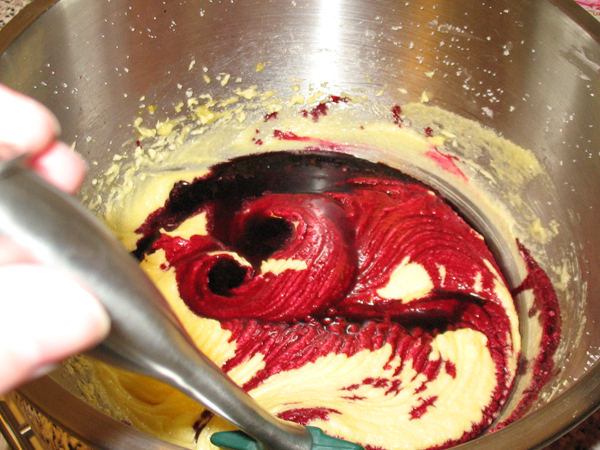 If you use cranberry juice instead of dye, try lemon in the milk to get a complimentary flavour. Step 1 – use centre rack. Pre-heat oven to 175°C / 350°F. Line cupcake tray. 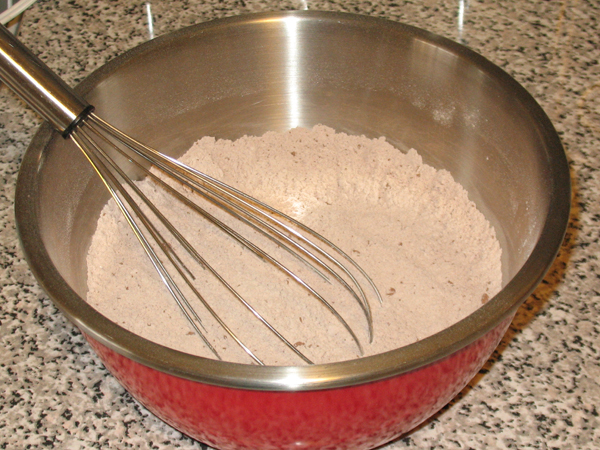 Step 2 – in a small bowl, mix flour, cocoa, and salt; this is a good time to use a flour sifter as cocoa is lumpy, but I forgot. Oh well. Set bowl aside. 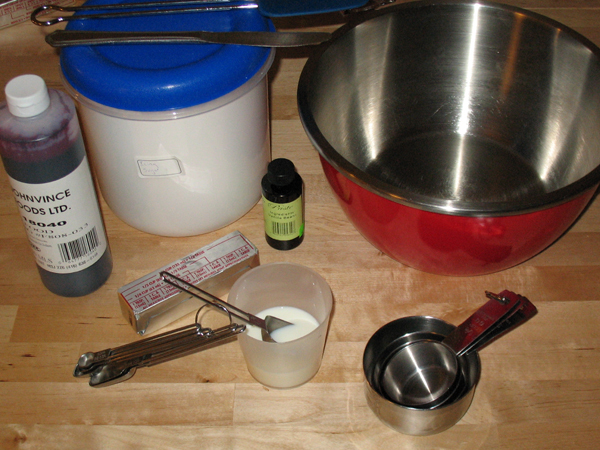 Step 3 – measure out the milk and vinegar (or lemon juice), also set aside. 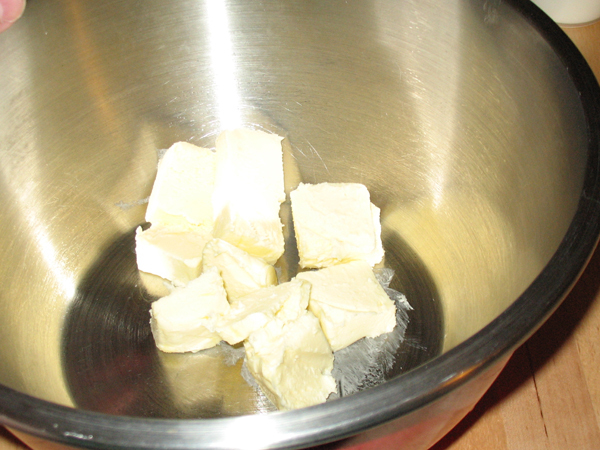 Step 4 – in a large bowl, beat the butter and sugar on Medium speed, until combined. 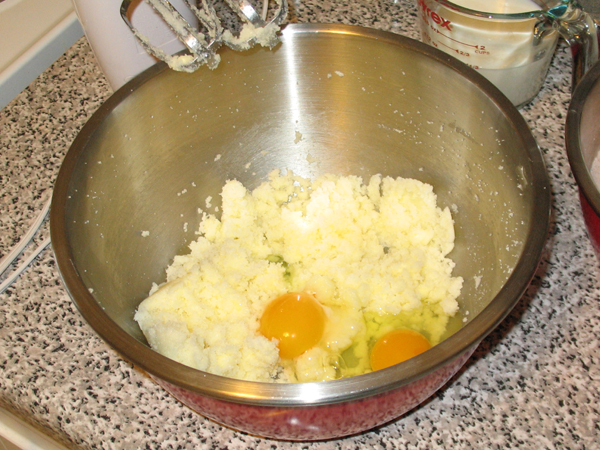 Step 5 – add eggs, beat 2 minutes until fluffy. 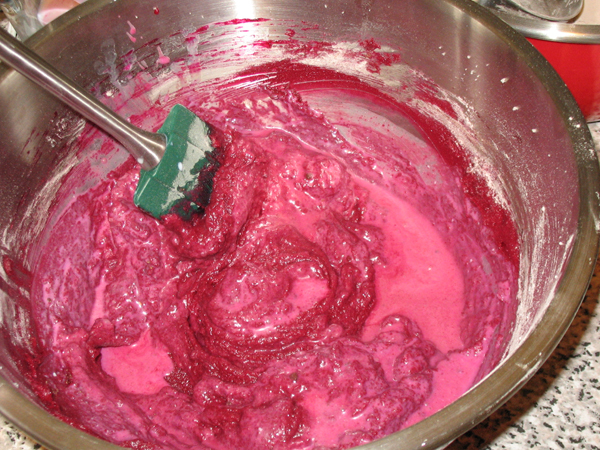 Step 6 – stir in food colouring, then stir in vanilla. Ever play that game where you see shapes in the clouds? I see a scorpion. Or a busted aorta. Okay now I see something from a Japanese horror film. 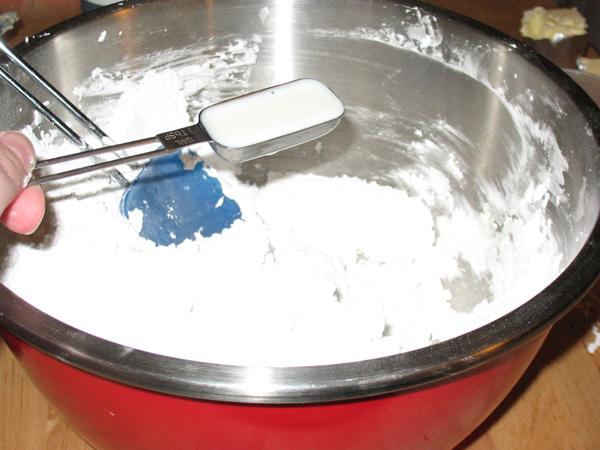 Step 7 – On Low speed, beat in half of the flour mix until combined, then half of the milk. Continue adding half of each until everything is added. 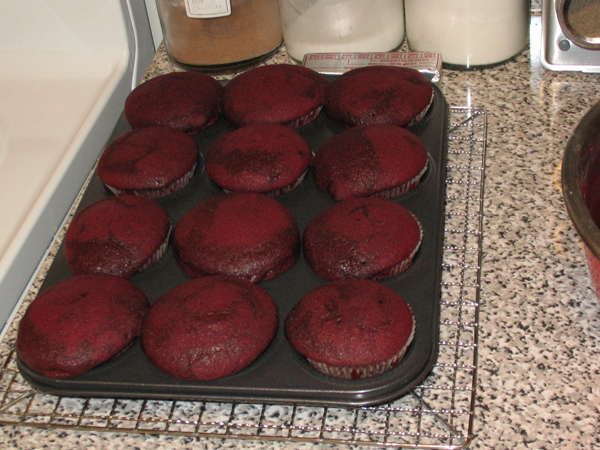 Step 9 – fill the cupcake liners about two-thirds. Bake 20 minutes for regular size or 13 minutes for mini…. oops, I overdid it. Wow, those are huge! 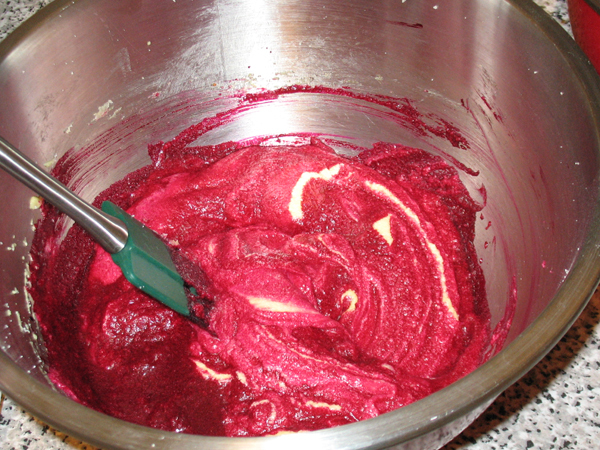 Step 10 – let cool in pan 2 minutes, then remove from pan and set on cooling rack for at least30 minutes. After an hour it’s frosting time! At this point I was kicked out of the kitchen while Boyfriend made dinner, so I moved operations to the dining table. 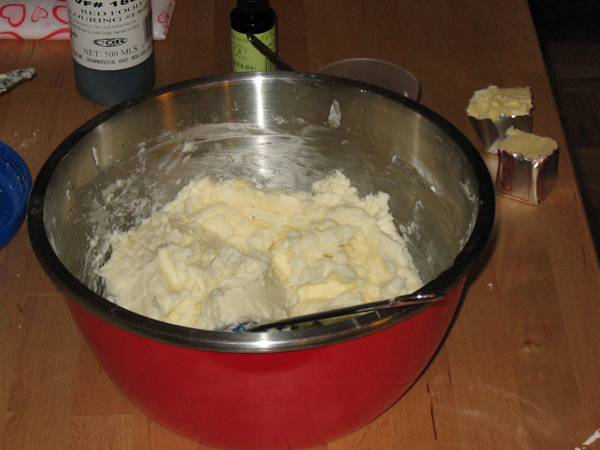 Step 1 – using a large bowl, mix the butter and icing sugar. 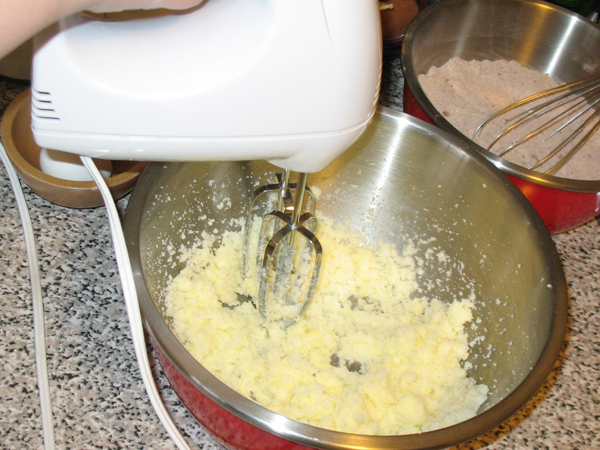 In my experience using an electric mixer will send sugar flying, it’s easier to do this by hand. Confession: every time I make frosting I get sugar all over myself. 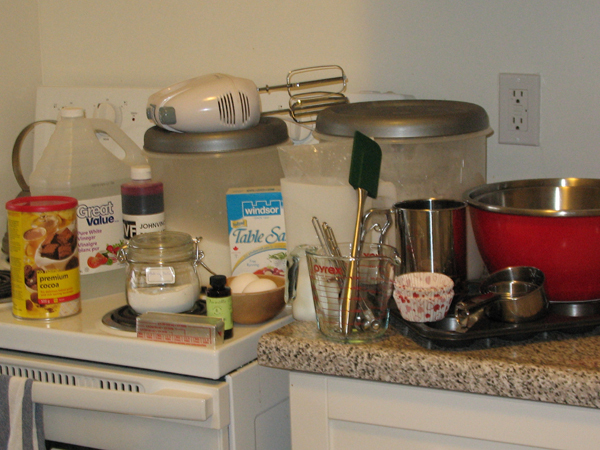 Step 4 – add remainder of the milk and mix well, then stir as if your life depends on it. Sample a little bit, if you can still feel the sugar granules keep stirring. 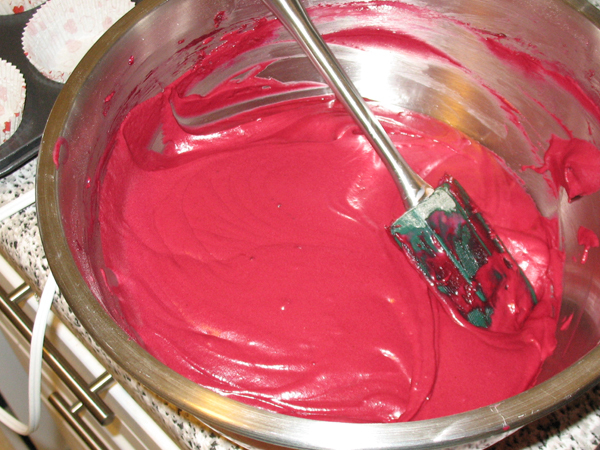 Step 5 – for visual interest I frosted some plain white, and then added a drop of red dye to get a pale pink, then added more red to get darker pink, et cet. One reason I rarely make creamcheese frosting for these is that it has to be refrigerated, and a refrigerated cupcake doesn’t feel moist. You could put the frosting in the fridge and frost the cupcakes as you need to, but that seems like a pain. 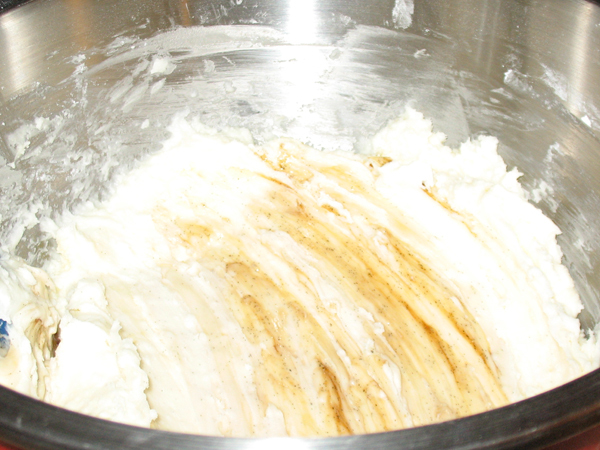 Buttercream does not need to be refrigerated. Hope you had a happy Velntine’s Day! 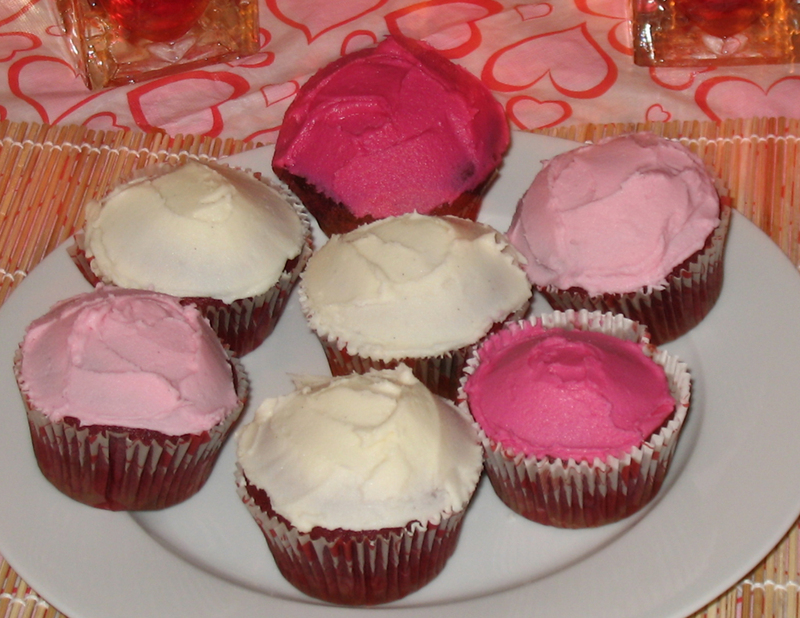 This entry was posted in cakes & cupcakes and tagged buttercream, red velvet, Valentine's Day.